culinarians and top celebrity chefs. story read by a celebrity narrator, accompanied by a massed choir and live orchestra. These are amazing experiences at Walt Disney World! It’s not too late to plan a FABULOUS trip! Contact your Upon A Star Travel expert today! Meet Ralph and Vanellope at Epcot! Ralph and Vanellope from Disney’s animated adventure “Ralph Breaks the Internet” have been meeting their fans at Disney Parks since last fall, when their movie debuted in theaters. Starting this week, you can find these best friends in an all-new location at Epcot®. The staff of the Imagination Institute is now conducting a new experiment, creating a portal into other dimensions. That portal has opened a window on the internet for Ralph and Vanellope to step through, right into the ImageWorks area of the Imagination! pavilion, where you can meet with them every day. The hit film “Ralph Breaks the Internet” is now available on Digital and comes to Blu-ray on Feb. 26, 2019. Available for the first time on 4K Ultra HD! Want to add this fun meet and greet to your Disney itinerary? Contact your Upon A Star Travel Expert today! Don’t have a travel expert yet? Click HERE now to find one or email us at info@uponastartravel.com and we will get you matched up with one of our travel experts today! 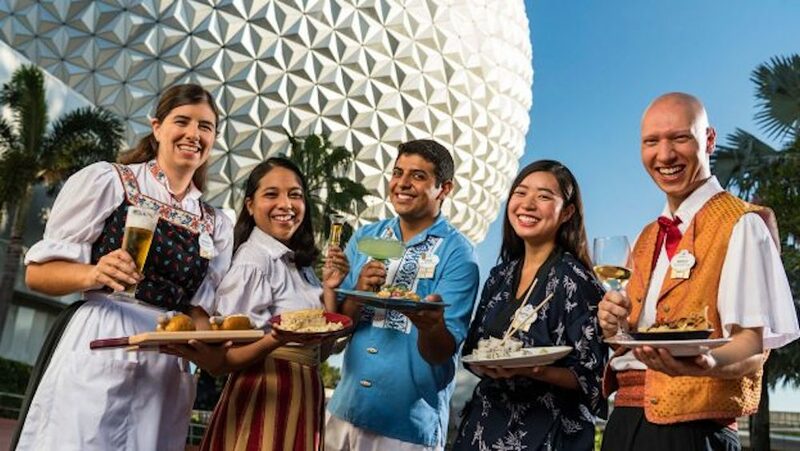 Starting Jan. 19, 2019, you can enjoy a delicious meal and specially-reserved viewing for the farewell season of "IllumiNations: Reflections of Earth" with the new dining package! The “IllumiNations” Dining Package, allows you to sit back and relax on the patio of the Rose & Crown Dining Room, located in the United Kingdom Pavilion, while eating classic British fare and enjoying sweeping views of World Showcase Lagoon. The Rose & Crown patio has a fabulous view of the nighttime spectacular! The package includes a prix fixe menu that features a selection of Rose & Crown favorites, as well as unlimited alcoholic and non-alcoholic beverages. You will start your meal off with a Scotch Egg or the United Kingdom Cheese Platter, and follow up with popular entrées such as Rose & Crown’s signature Fish and Chips, Corned Beef and Cabbage, Pan-roasted Scottish Salmon, or Bangers and Mash. And for dessert, you will love the Pudding Platter Trio featuring Sticky Toffee Pudding, English Trifle, and Chocolate Nougat Bar. Kids can enjoy a soup or salad with their choice of Cheese and Turkey Flatbread, Turkey Meatball Pasta, Cheesy Pasta, or Fish and Chips as well as either Fruit Salad or Trifle for dessert. What a great way to say goodbye to Illuminations! Want to add this great experience to your reservation? Contact our travel experts HERE today! Eat to the Beat Concert Series! 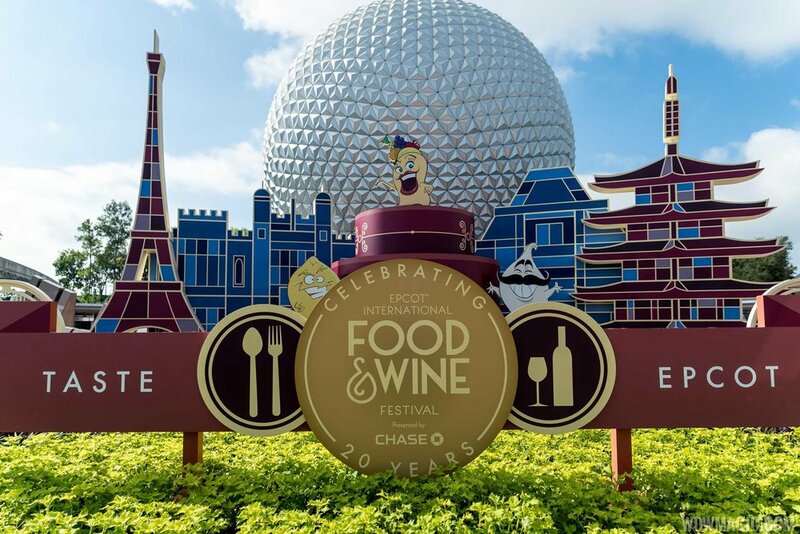 Finish your day at Disney’s Epcot International Food & Wine Festival in style! The ever popular “Eat to the Beat” Concert Series has a menu lined up that you won’t want to miss! This year’s event has the largest selection of major recording artists to date! Valid Epcot admission is required. All entertainment and artist appearances are subject to change or cancellation without notice. Make a date to catch one or more of our big-name artists live in concert! Contact your Upon A Star Travel Consultant to make a date to see your favorite artist! Don't have a travel consultant? Click HERE today to find one!